Mayor Mauricio G. Domogan underscored that President Rodrigo R. Duterte and his allies have been major player’s in the region’s vibrant quest for autonomy right from the start of his administration unlike in the previous administration where the regional issue was sidelined despite the growing clamor for self-governance among Cordillerans. Domogan, who chairs both the Regional Development Council (RDC-CAR) and the Regional Peace and Order Council (RPOC), claimed it has only been during this term of President Duterte that the renewed quest for regional autonomy has been given not only the needed support but also the required push for the enactment of the pending bills in both chambers of Congress seeking for the establishment of the Autonomous Region in the Cordillera (ARC). 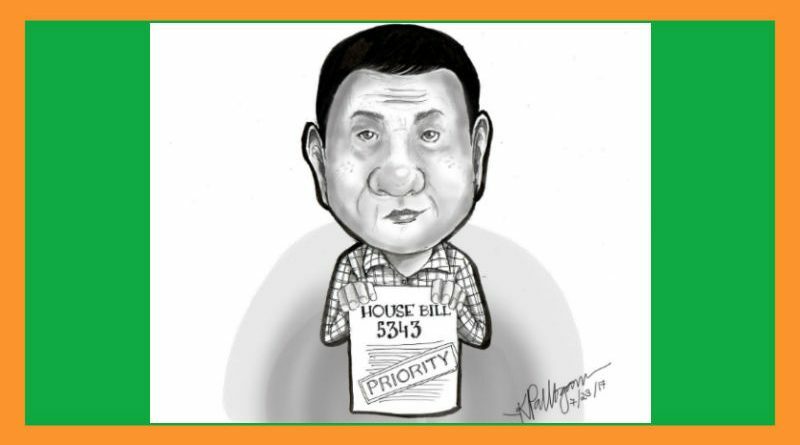 To reciprocate the President’s positive outlook on autonomy as a catalyst of development in the Cordillera, he stated all Cordillera congressmen authored House Bill (HB) 5343, the lower House version of the proposed autonomy law now pending refinement by the Cordillera lawmakers for submission to the House committee on local government for approval. “We recognize the efforts of President Duterte and his trusted Cabinet members in helping us advance our clamor for the establishment of an autonomous region in both chambers of Congress because it is through autonomy that the Cordillera can appropriately advance its development thrusts as the regional government will be empowered to craft applicable programs, projects and activities in the region with lesser restraint from outside forces apart from receiving from the national government the needed support in terms of the provision of equitable resources,” Domogan stressed. He claimed that Presidential Adviser on the Peace Process Jesus G. Dureza even went to the extent of personally calling Senate Majority Floor Leader Juan Miguel Zubiri requesting him, on behalf of the Cordillera leaders who were attending a meeting in the House of Representatives at that time, to file the Senate version of the autonomy bill which was subsequently done. According to him, Cordillera leaders heeded the call of the President to be united in the clamor for autonomy because it is a constitutional mandate that has not yet been realized for over three decades now. Domogan emphasized the reasons the previous autonomy laws were overwhelmingly rejected were because of the watered down contents and the wrongly timed and insufficient time to conduct the needed information on the contents of the laws resulting to inadequate information on the real essence of autonomy for Cordillerans.